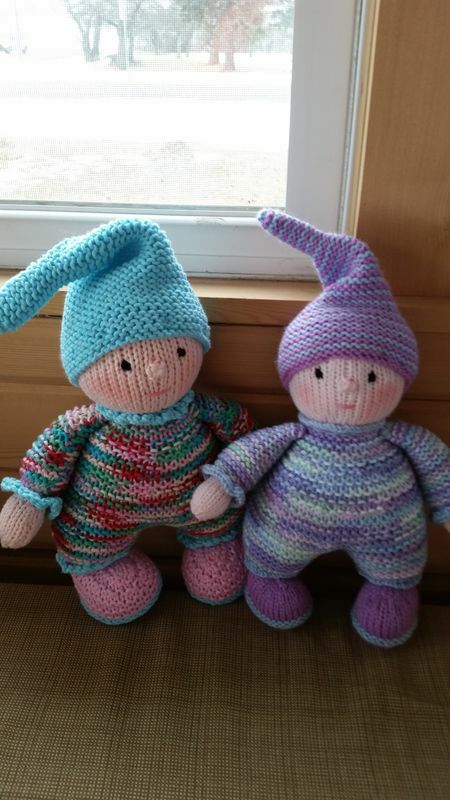 As many of you may know I talked with Gypsycream about a small doll that was completely child safe that I could use in my craft shows and she came up with this adorable little doll. 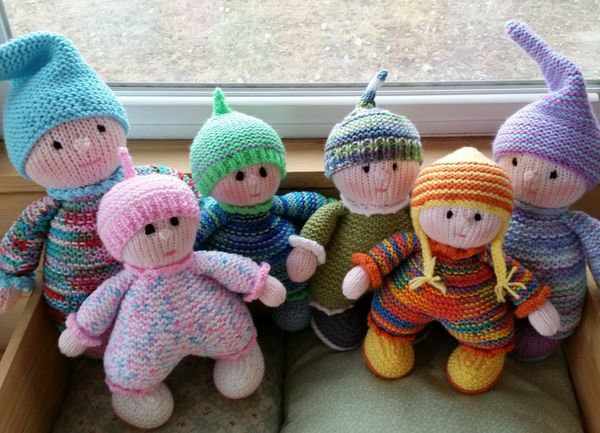 Not only is it perfect for shows but also for charity knitting or that quick needed gift for a little one. It's also a great stash buster. I was honored to work with her on this and had so much fun. Beware they are addicting! 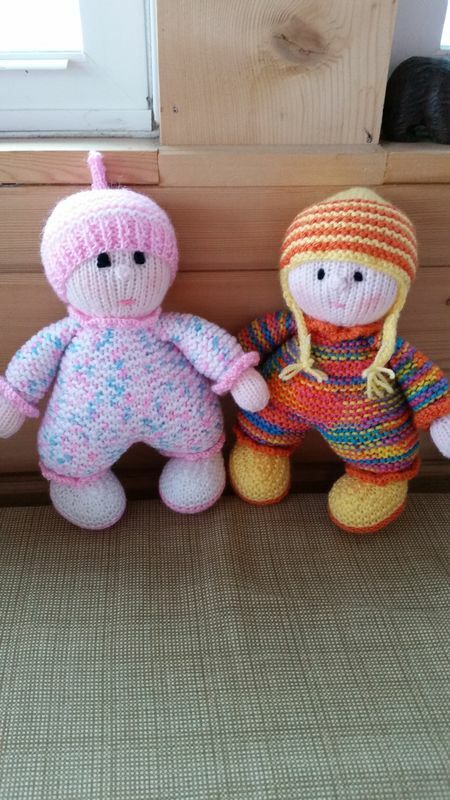 Hope you enjoy seeing my versions of My First Cuddly by Gypsycream. Well done they are great. So cute are the hats attached to them? what yarn dk ? they are really cute you did a nice job with all the different colors. Your First Cuddlys are so cute, Karen! I love the colour combinations you have used! Thank you. The hats are made separate then sewn on so they won't get lost. The pattern gives needle sizes for both aran/worsted and dk weight. 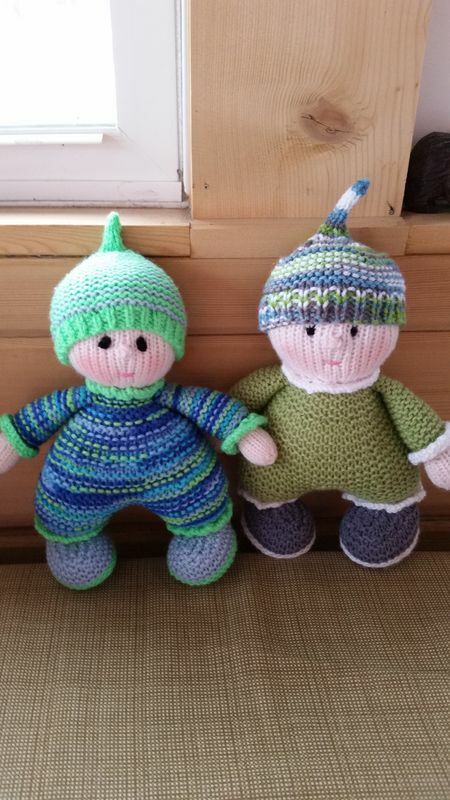 The larger ones of mine are in worsted and the smaller in dk. Thank you Leitia. I had fun going through my stash picking out colors to use on them.